This year’s fixture list has been released and for anyone looking to take part in any competitions in the upcoming season, all currently announced events can be found within. 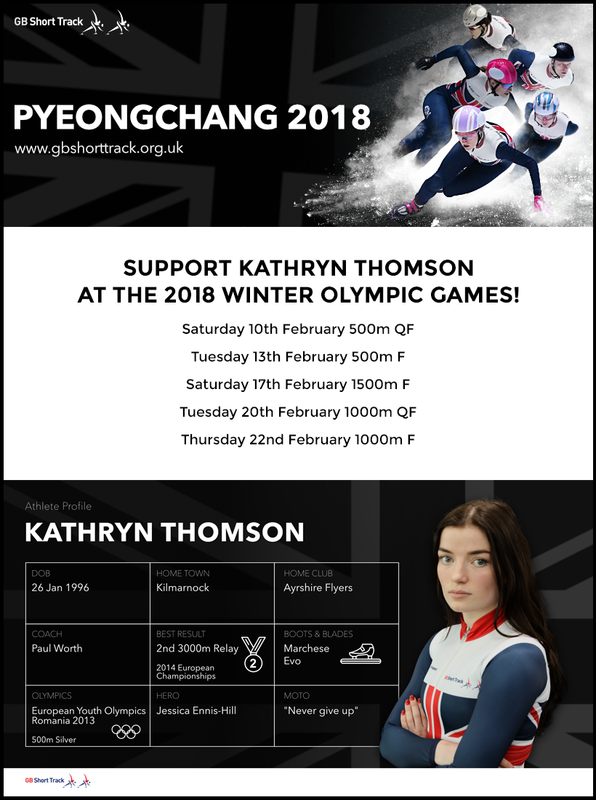 Recently appearing in the Sunday Herald, Ayrshire Flyers’ Kathryn Thomson will soon be making her Olympic debut in Pyeongchang. The whole club wishes you the best of luck Kat. As next year’s Winter Games draw ever-closer, interest around the many sports that are included within the event begins to spark. This particular discipline is a form of ice skating that relies on speed. Short track speed skating has been present in the Winter Games since 1992. Great Britain have only ever won one bronze medal since it began. If you have a passion for for speed skating and live in or around Ayrshire, then the Ayrshire Flyers Speed Skating Club is the best place to try it out. The club’s coach, Archie Marshall is in fact a former Olympic speed skater himself – offering the best advice and training around. What’s more, he coached both Elise Christie and Kathryn Thomson who are set to represent the nation next year. For those looking to get involved, our club has even been featured as a location in Crystal Ski’s exclusive Winter Games guide. “Winter Games are Coming” looks at the sporting hopefuls who have demonstrated their athletic potential, the ones to watch in 2018 and even areas that you can get involved in a variety of winter sports. You can navigate your way through the guide to find sporting stars past and present and which region they were born in. We’re certainly rooting for the five confirmed athletes next year and wish them every success in the event! 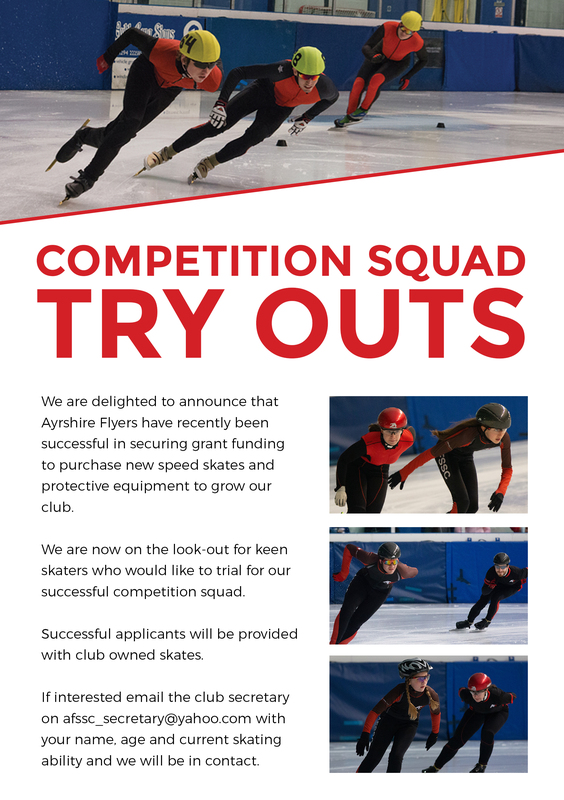 At the Ayrshire Flyers Speed Skating Club, we welcome families who are at all skill levels. You can be a beginner or have a little more experience, all that you need is love and dedication for the ice. If you have an interest in the 2018 Games, and an enthusiasm for the sport, then don’t hesitate to get in contact with Pamela Mackay at afssc_secretary@yahoo.com. We’re very friendly and love welcoming new members.